The simple act of cooking can severely injure and potentially kill your pet bird. Yet many people do not even know these dangers exist. This article will show the cooking dangers that can harm your bird and how you can avoid them. What is Teflon Poisoning in Birds? Teflon poisoning is the generic term used to describe polytetrafluoroethylene (PTFE) intoxication. PTFE is the non-stick coating used on many brands of cookware such as Teflon and Silverstone. When overheated, the coating enters a gaseous state which is not usually harmful to humans but is extremely dangerous to birds. It causes the bird to have difficulty breathing because their lungs begin filling with bodily fluid and in serious cases can result in death. Birds in particular have very eifficent lungs because they need lots of oxygen when flying but the downside is that these lungs are very sensitive, therefore they are very susceptible to toxins in the air such as PTFE. It tends to be the case that the smaller the bird is, the less gas is needed to injure the bird. So a canary is much more vulnerable to toxic gases than a large parrot. Historically, this is why canaries where taken down into coal mines so they could detect noxious gases before humans became injured. Old Cookware – teflon will age and deteriorate over time. As the cookware ages the toxic PTFE is more likely to be emitted as a gas which can harm your birds. 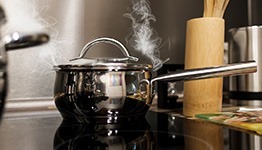 Damaged Cookware – scratches, dents and small holes in non-stick cookware can also raise the chances of your cookware emitting toxic PTFE gases. Other Sources – aside from cookware, there are a number of other potentially hazardous sources of PTFE and PFOA such as those listed here. Difficulty breathing, gasping for air. Strange patterns of eye blinking or twitching. Poor coordination and loss of control of body movements, unable to stand. 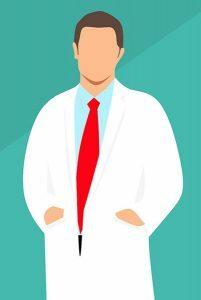 What’s also important to note here is that teflon poisoning can occur suddenly in large doses but it can also occur slowly in lower doses over weeks or even months until the bird is fully sick. Turn off your oven, pan or any other source of heated cooking. Remove your heated cookware from the house and place it on a non-flammable surface such as concrete. Open the windows in your home, turn on fans and provide as much ventilation as possible (whilst also ensuring your bird cannot escape). If you have a travel cage, place the bird inside the cage and take them outside (away from the pan). If you cannot place your pet into a bird carrier and take them outside, instead move the bird as far away as possible from the cooking source. Provide as much ventilation in the room that you can for the bird. Once the immediate threat has been removed and the bird is now receiving a fresh source of air, the next step you need to take is to take your bird to an avian veterinarian immediately. This is an emergency situation so do not delay. According to Darrel K. Styles, DVM from Texas A&M University, the vet is likely to treat your bird with with oxygen, antibiotics and diuretics to reduce fluids being produced in the lungs. Whilst the outlook for teflon poisoning doesn’t tend to be very good, the birds can survive if they are treated quickly. 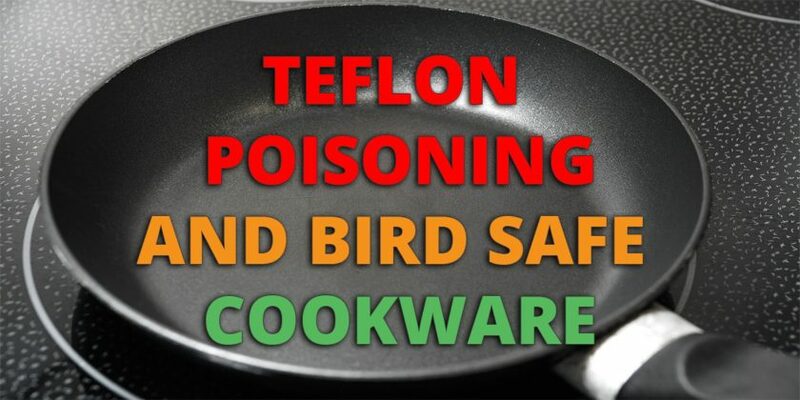 To stop teflon poisoning from ever occurring in the first place, follow these steps. Throw away, give to charity or sell any unsafe cookware that is listed in the unsafe brands above. Replace this with a new set of bird safe cookware using our list above. If you can’t find brand on our list and are unsure of whether it is bird safe or not then contact them directly. With your new cookware, give it a good clean before the first time it is used. Is Ceramic Cookware safe for birds? Yes. Ceramic cookware, poses no problem regarding poisonous gasses being emitted and is perfectly safe to use if you are only cooking for the humans in the home. Also ceramic cookware can be created to be non-stick – so you can have the advantages of teflon but without the health consequences to your birds. The only minor downside is if you buy bad quality ceramic then the ceramic coating can chip away. This doesn’t pose a health risk to humans but could cause problems to birds (but only if they were to eat food that was cooked in the ceramic pan). Is Cast Iron Cookware safe for birds? Yes. 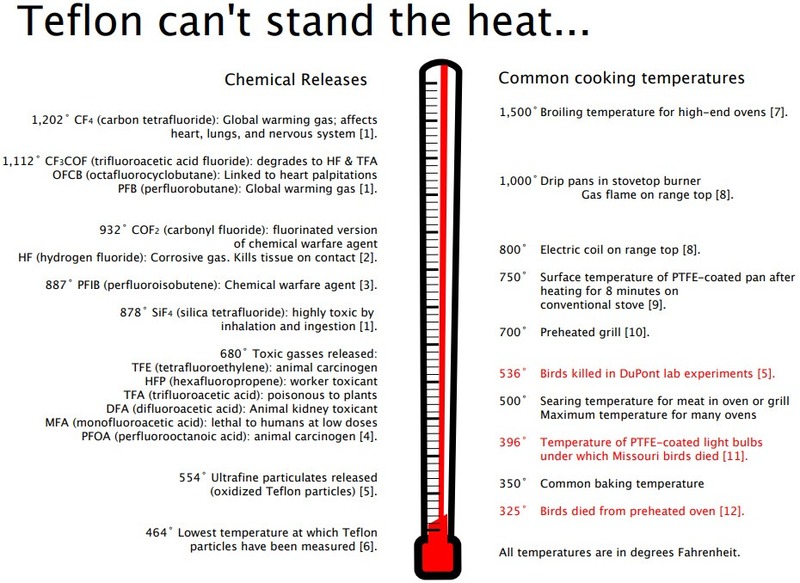 Cast iron pots and pans are another alternative and they do not produce toxic emissions, no matter how hot they get. Cast iron skillets have become increasingly popular due to their super long life. The main issue with cast iron is it may develop rust if not properly dried after use. However, this can easily be fixed though by using steel wool and proper drying. However, people concerned about rusty pans should instead consider stainless steel which is rust proof. Is Stainless Steel Cookware safe for birds? Yes. Stainless steel pots are also bird safe and have a long life, plus they have the advantage of not rusting. The main issue with these pans is that food sticks to them easily but if you leave them to soak after use, the food normally comes off fairly easily. However, like cast iron this can also be easily cleaned using steel wool and with stainless steel you don’t have to worry about the rust. Is Glass Cookware safe for birds? Yes. The problem with cooking using glass is that normal glass will shatter at high temperatures. 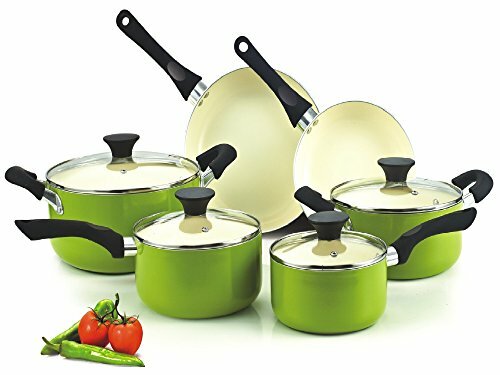 So instead, what you need is glass cookware specifically designed to withstand cooking temperatures such as this cookware set. Is Copper Cookware safe for birds? Maybe. Copper shouldn’t be used in cookware on it’s own. 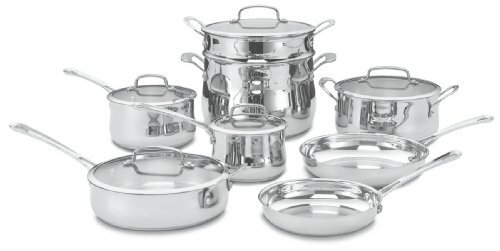 Typically it is combined with ceramic cookware (see above) or as part of a stainless steel cookware set (see above) and then it is safe to use. Is Aluminum Cookware safe for birds? Yes. Like copper, aluminum is safe for cooking but you’re unlikely to find it on being used by itself and is more likely to be included as part of a combination of materials, like in the ceramic cookware listed above which contains aluminum. Aluminum foil which is sold with a non-stick coating should be avoided. Hair dryers can also be a dangerous source and potentially hazardous and shouldn’t be used in the same room as your birds. Light bulbs and lamps can potentially contain PTFE, especially if they are designed to be shatter resistant. To ensure you lightbulbs are safe, see our full guide to avian lighting here. Self cleaning ovens are lined with PTFEs and will emit gasses during the cleaning cycle. Stain repellants are made to be non-stick and can be dangerous. House your bird far away from kitchen and make sure the bird is never in the kitchen when you are cooking. Ensure you food does not burn or overheat. Never leave you cooking unattended, plus use a thermometer if you have one. Use extractor fans, turn on ventilation systems and open windows. Be extra careful when cooking with spices or chilli powders and other types of exotic herbs. Don’t clean ovens using chemicals, instead use baking soda/vinegar and water. Extra safety tips for brid owners can be found in this pamphlet from Chemours. 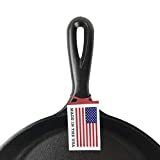 Are You Currently Using Teflon Non-Stick Cookware? The elimination of non-stick cookware from your kitchen is necessary when looking after a pet bird. Yes, you may have to spend a few dollars replacing a skillet or frying pan. Plus you may need to modify your cooking techniques slightly and use some vegetable sprays or oils to help eliminate food sticking to your stainless steel. But these are all worth it to ensure the health of your bird. Most of all – make sure your bird is not kept near the kitchen or near any cooking appliances – especially when you are cooking. What Do Parrots Eat? – See our detailed list of foods you can (and cannot) feed your pet bird. Bird Dander – See our guide to reducing bird dust and also getting an air purifier. I have a friend with a pet parrot who wanted to know if the Instant Pot or similar pressure cookers are safe to use for her bird. Not sure if you’re familiar with them. The Instant Pot namebrand comes with a stainless steel pot inside. Cooking with stainless steel is bird safe. “So to answer your question, the outer pot is made of grade 201 stainless steel. It’s not quite as good as grade 304 steel that we use in the inner pot, but it is non-toxic when heated. Regarding to the question that if the heating element would emit gas that could be poisonous to birds, I have asked our manufacturer. It’s a chemical compound that have gone through high heat process. The material is 2011/65/EU compliant. ·It contains 415 mg/kg of lead which is below the max 1000 mg/kg specified in 2011/65/EU. ·It contains 3 mg/kg of cadmium which is below max 100 mg/kg specified in 2011/65/EU. ·Mercury is not found in the material. 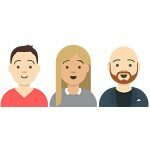 ·It does not contain Cr(VI). If you buy it, I’d recommend closing the door when cooking and making sure your bird is not in the same room because pressure cookers tend to emit a lot of steam when cooking. This could irritate your bird. Are certain grades of stainless steels harmful or is any kind okay to use? I want to buy one or two pots/pans from my local Asian supermarket but I’m wondering if quality will affect my bird’s health. Also everything is written in another language so I can’t be certain of the grade or manufacturer.